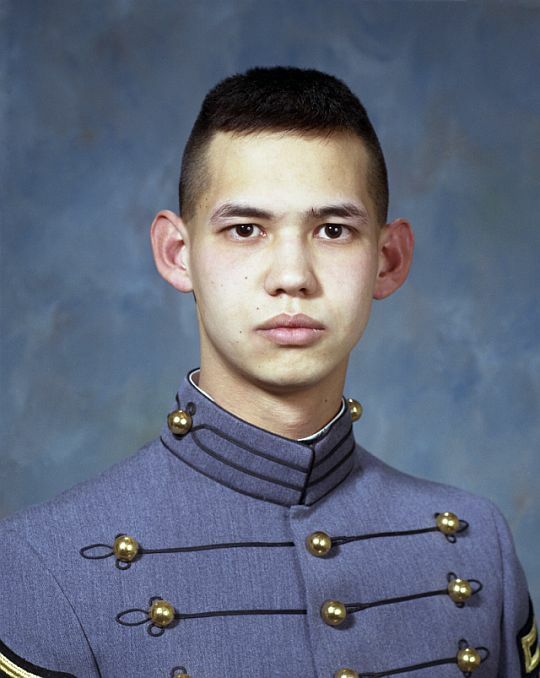 Paul was the first roommate I ever had at West Point - being thrown together into F Co. on Day 1 of Cadet Basic Training back in 1995. We couldn't have been more opposite. He had grown up in a military family steeped in Army tradition, tactical knowledge, and professional competency. I grew up in the corn fields of Iowa. Yet within a matter of hours, Paul was explaining to me what "TA-50" was, and helping me put mine together. He explained to me the difference between officers and enlisted soldiers (being clearly amused and simultaneously disgusted by my complete lack of knowledge), and spent countless hours over the next few months teaching me how to shine shoes and boots. I'd like to think for my part that I taught him how to relax a bit, how to be a little more social, and how to laugh at the absurdity of the things going on around us. I have no doubt he was the better teacher. As tends to happen, we survived that toughest of summers together, but then got scrammbled into new companies and slowly drifted apart. He had rifles to shoot and books to read, I had beers to drink and sports to play. Nonetheless, every time we'd pass each other in Thayer Hall or in the area, I'd always get to see Paul's sly little smirk, hear him give me one of his smartass remarks, and we'd share a laugh while catching up for a minute or two. We ended up in the same Ranger School class, and then the Captain's Career Course at Ft Benning in 2003. I was always utterly impressed with the knowledge, dedication, and seriousness with which Paul approached our profession. In my mind, I always held Paul up as the standard of competency, and tried to measure up to his professional abilities. We were so different, and yet both shared the same goals to serve our country, take care of our soldiers, and be role models for others to follow. Paul, you made me a better officer. I truly thought I'd see you wearing stars in the Pentagon one day. It saddens me greatly to know that we lost one of our best. You served so well and I just want to say thank you for what you've meant to me, as well as to our country. I will miss you.